The LANEIGE MEETS FASHION project is an annual collaboration between LANEIGE and trendsetting fashion designers. LANEIGE MEETS FASHION blends fashion and beauty, presenting them as one look to create a new trend of ‘fashionable beauty’. With this initiative, LANEIGE offers new limited edition beauty products for a fashionable look. 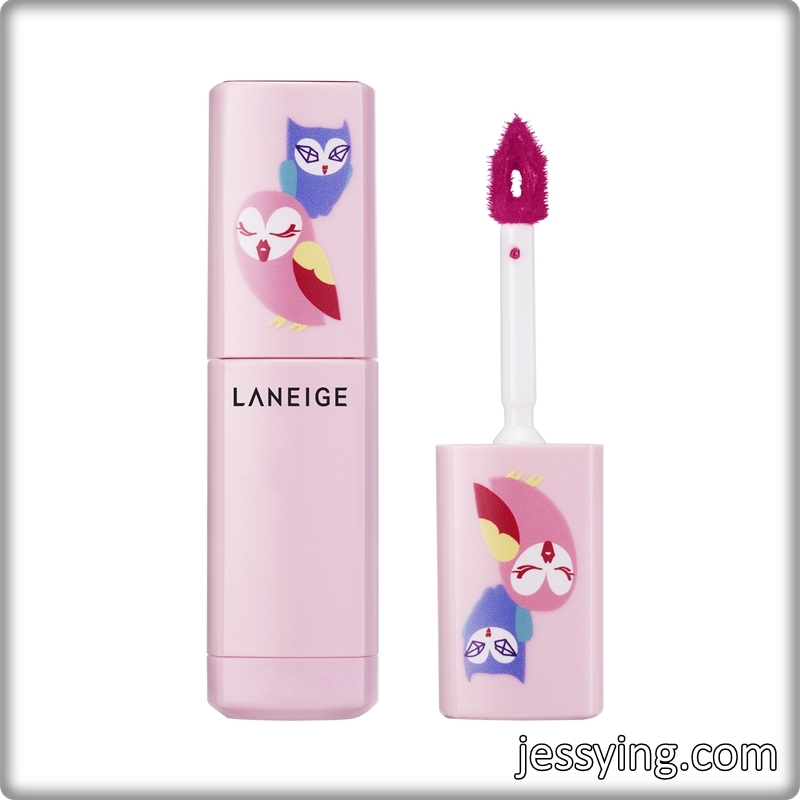 Now in its third year, the 2016 series of LANEIGE MEETS FASHION is in collaboration with Lucky Chouette, the second line from Korean fashion brand Jardin de Chouette. The brand has been growing dramatically over the last three years and is adored by Korean girl members, celebrities and influencers. Presenting to you the Limited Edition LANEIGE x Lucky Chouette Collection where it features chic owl-themed designs exclusively for the new LANEIGE Serum Drop Tint, BB Cushion and Multi-Colour Palette. Introducing this 2 owl character i.e chouettes which is used as the main design in the limited edition LANEIGE x Lucky Chouette beauty products. Bella Chouette, a gorgeous pink owl, exudes charm with her deep double eyelids and plump lips. She is eloquent, confident, enthusiastic and is not afraid to speak her mind. Vely Chouette is a lovely, blushing blue owl that is shy and introverted. She has clear, shiny eyes that can melt anyone’s heart. So I did a personally test to see which makeup look should I do? No surprise that I am a Bella Chouette because I live the motto of "I do what I like like what I do" As you scroll down to the end, I will show you my Bella Chouette makeup look. Both Laneige BB Cushion for Whitening and Pore Control BB Cushion underwent a facelift and reformulation earlier this year. Hence the packaging here is merely a limited edition but the formulation is still the same. Brightens skin with Dual Whitening care and provides the ultimate bright, clear skin. The new formulation keeps skin moisturized with no darkening all day long, complete with a powerful UV protection of SPF50+ PA+++. Keeps skin looking fresh and feel moisturized for long hours with its two- step oil control system. The new formulation keeps skin matte for hours without dryness and the feeling as if nothing is applied on the skin! Pore control maximizes the sweat-resistant effect so that the product stays on all day and provides complete protection with SPF50+ PA+++. As I have dry & dull looking skin, I got the Laneige BB Cushion Whitening SPF 50+ PA+++ . The last time I reviewed in my blog was their old formula BB Cushion (here). I'm pretty excited to try out this new formulation as I have heard a lot of positive review about it. Well finally I have a chance to give it a try. Tip to apply BB cushion is to dab lightly and repeat the dabbing movement to build up the coverage. Here is a before & after picture using Laneige BB Cushion Whitening SPF 50+ PA+++. Imperfection seems to be perfectly covered without the use of concealer. Face looks instantly brighten and even up! Newly introduced, Laneige X Lucky Chouette Serum Drop Tint (RM75) which will be permanent part of the LANEIGE lip colour range. Serum Drop Tint formulated with an oil serum, the tint is designed to provide a wealth of essence to the lips. Its Berry Mix Complex™, rich in vitamin C and anti-oxidants keeps the lips smooth and supple while also giving off a vivid colour on the lips. Moisture Wrap™ with its wrapping technology, keeps skin moisturized all day through a network of hyaluronic minerals packed with skin purifying ingredients. To finish it off, a highly viscous paste is added for its moisture retaining and preserving power on the lips. Oil and water soluble pigments are optimized for layers of moistures, providing rich colour and enhancing tinting effect, creating a super glossy oil for a vibrant and healthy look on the lips. The combination of oil and a water type tint provides the best emulsion creating the serum drop tint. This mixture provides a texture that seamlessly blends into the skin to give a comfortable, long-lasting and refreshing finish with intense coloration. Unlike a regular water drop tint applicator, the new serum drop tint applicator is specially designed with a hole in the middle of the tip to hold an ample amount of product. The triangle- shaped edge tip helps fill in the lips with colour from the inside. There are a total of 10 shades. It also comes with a Limited Edition packaging incorporating Lucky Chouette’s exclusively designed owls. I was given 2 shades to bring home to try. Laneige X Lucky Chouette Serum Drop Tint in Bite Me is a burgundy red lips.If you realised the colour is darker on the tube but looks not too dark on the lips. Laneige X Lucky Chouette Serum Drop Tint in Urban Coral looks hot pink on the tube but looks more sweet pink on my lips. I love this shade because it flatters my skin tone and it's easy to pair with any eye makeup from day to night! This tinted lip colour is really easy to apply and blend. It does not feel drying at all on my lips and I guess the serum which has the same ingredient with their Lip Sleeping Mask is helping! Unfortunately for me the colour does not really stay as it will be gone after a meal and reapplication is needed. Oh before I forgot, this Serum Drop Tint has a mild sweet fragrance which is quite pleasant. Laneige Multi-Colour Palette (RM120) is designed with the charm of Bella Chouette and the lovely shyness of Vely Chouette, the Laneige Multi Shadow double-ups as an eyeshadow and multi-use palette that gives off a soft, shimmer highlighting effect. Which is your favourite from Limited Edition LANEIGE x Lucky Chouette Collection? I like the Serum Drop Tint in Urban Coral and I can't deny I really like this cute pink packaging. Before I end this blog post, here is my Bella Chouette makeup look! Lips : A glamorous, kissable lips. Accessories : 1 bold focus accessory. The Laneige x Lucky Chouette Collection will be available at all Laneige boutiques and beauty counters starting September 2016. Don't forget to check out ya especially the Serum Drop Tint! On the other hands, sometimes I buy flower for myself because it can immediately cheer up my mood! How many of you do that? 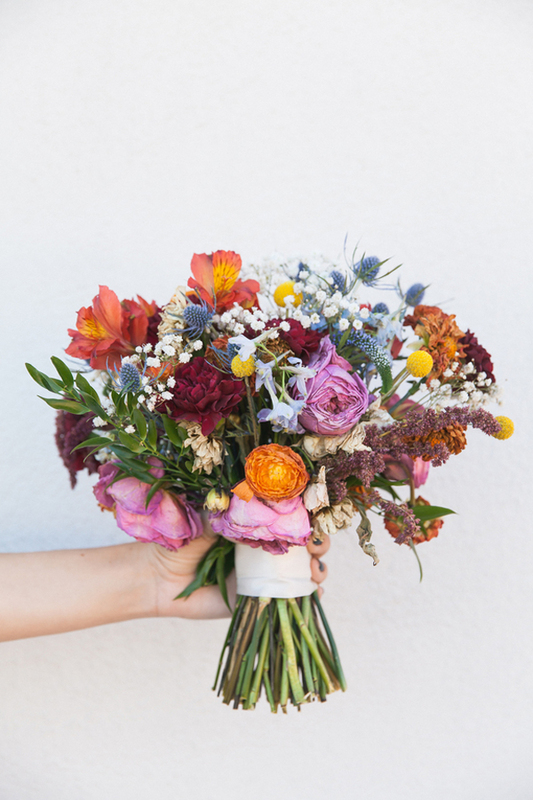 Currently loving the hand bouquet by Flower Chimp a local floral E-Commerce market place . They have professional florists to create a unique assortment of fresh flower bouquets and arrangements for any occasion. With roses, gerberas, lilies, tulips, orchids and many more types they have flowers for every season and occasion starting from as little as RM79 including delivery.